“NOBODY IS TRYING TO KILL ME” - SENSATIONAL STAR'S BREAKING STATEMENT! 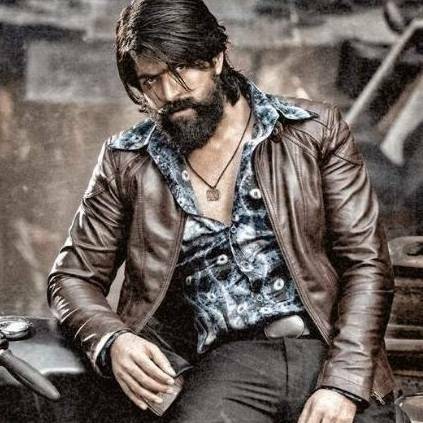 Actor Yash became a known name among the South Indian film audience after his terrific performance as Rocky in ‘KGF: Chapter 1’. The star is currently cherishing the success of the film. Meanwhile, there were rumours surfacing on the web that the life of the actor is under threat. On Thursday, Bengaluru police had arrested four persons who were reportedly planning to murder a popular Kannada star. Immediately, speculations and rumours arose that it was Yash whose life was on a threat. Putting an end to all the false news, actor Yash who addressed the media on Saturday evening said "I spoke to Additional Commissioner of Police (Crime) Alok Kumar and Home Minister MB Patil about it. They personally assured me that I was not on the hit list." He also said that “Every time a gangster is arrested, I am told my life is at risk. I am not some lamb to the slaughter. I am well aware of my strengths. This has led to negative discussions on social media. People were throwing around names of other actors speculating their involvement in the case. That’s very wrong. And it will also show our industry in a poor light. There is a healthy competition in the industry but I would like to make it clear that nobody in the industry would stoop so low." On the career front, Yash will soon begin to shoot for the sequel to the blockbuster ‘KGF’, directed by Prashanth Neel. The first part of the film throws light on ‘Rocky’ becoming a gangster among the gold mafia circle. The much-awaited sequel to this epic will possibly hit the screens by next year. Stay tuned. என்ன யாரும் ஒன்னும் பண்ண முடியாது - KGF Yash அதிரடி ! People looking for online information on Yash, Yash death threat will find this news story useful.